Sit back and enjoy the outdoors with the supportive and colourful Bungee Chair Blue. 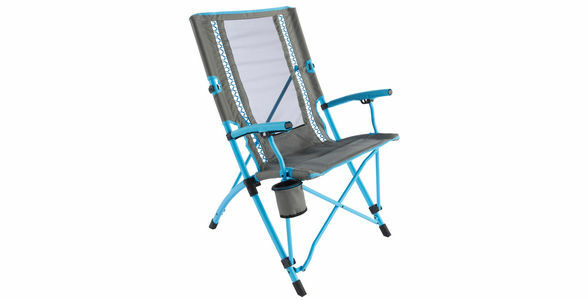 Featuring a strong and sturdy steel frame, this robust chair can be used both at the campsite and for additional seating at home. This convenient chair also comes with a handy carry bag for easy transportation.